Mission Statement A holistic focus concentrating in restoring and maintaining optimal health of the spine, nerves, muscles, disc and body as a whole. Through innovative and non-invasive techniques, Applied Modern Health makes your wellness their goal. 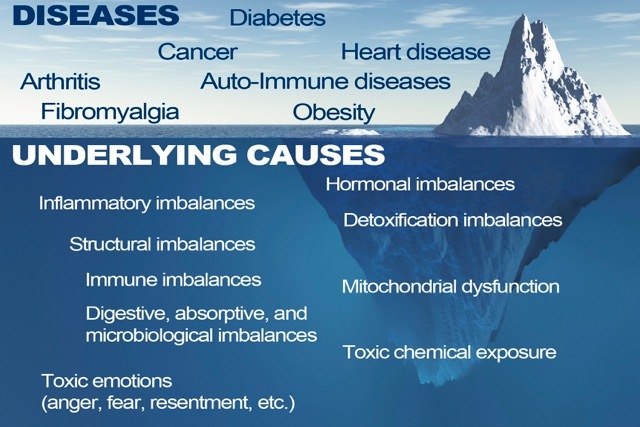 AMH Chiropractic is here to help allow the body, mind and spirit to be in perfect harmony. We believe that we are here to aid the body in fighting the disease it is experiencing. 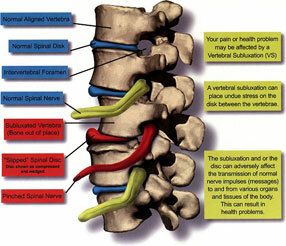 We adjust the subluxation to allow the body to heal itself! We strive to treat each patient in a specific manner that suits that patients needs. Our services consist of case histories, physical exams, x-rays, physical adjustments, nutritional support, wellness planning and health education. We also specialize in chiropractic adjustment, trigger point therapy, active release technique non-invasive spinal decompression, cold laser therapy and physiotherapy. At AMH Chiropractic, we want to free many people from their own self restrictions due to health, we want to help a child with asthma to play a sport, we want to maximize the lifestyle of our patients so they can live their life to their fullest! AMH Chiropractic strives to continue in our education and keep up with the latest news and techniques to assure that you are in trustworthy hands. At the end of the day we are here for YOU! 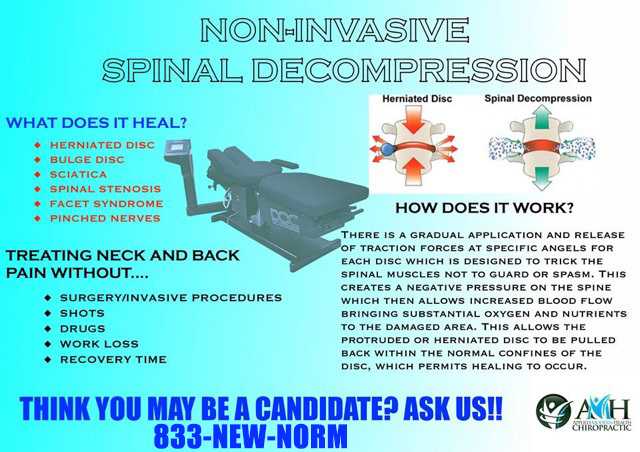 Call our office today at 833-NEW-NORM to discuss your chiropractic needs. Dr. Moe Hazimi will analyze the spine to locate vertebral subluxations, a serious condition which interferes with your nervous system function and causes spinal distortions. Although subluxation may be traced to a variety of causes, only a doctor trained in Chiropractic treatment can correct the condition without surgery. 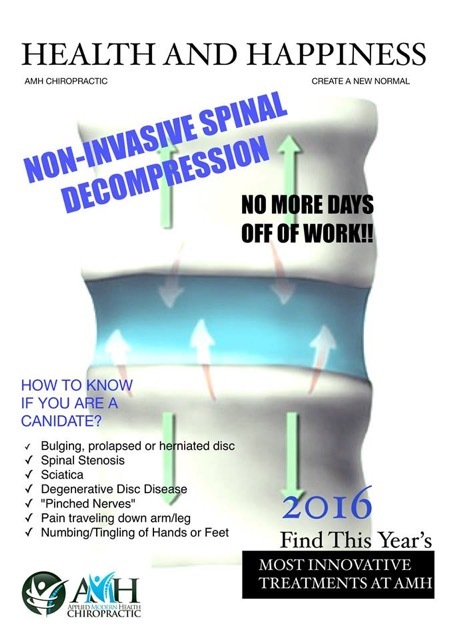 Chiropractic adjustments can alleviate any pressure or stress that the nervous system is under in most cases. 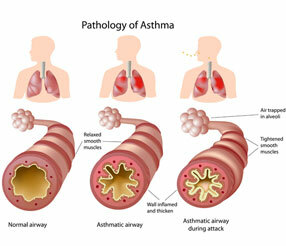 Once this is relieved, the lungs are fully capable of doing their job and incidents of asthma can be reduced if not eliminated altogether. Chiropractic care which results in more efficiency of the nervous system overall also boosts the natural workings of the immune system and can help a child maintain consistent good health. This is particularly important for children who have asthma as they are more prone to attacks when they have a cold or something more serious such as a respiratory infection. Laser therapy uses high powered light to stimulate healthy cell regeneration, reducing pain and increasing wellness.